Used 2014 Ford F-150 FX4 SuperCrew 5.5-ft. 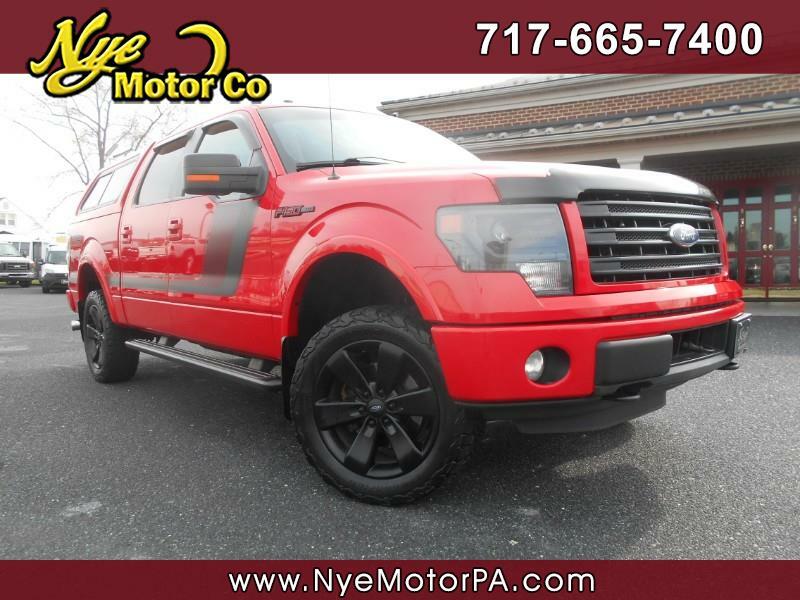 Bed 4WD for Sale in Manheim PA 17545 Nye Motor Co.
****CLEAN VEHICLE HISTORY REPORT****BEAUTIFUL****EXTREMELY CLEAN****LOCAL TRADE****MUST SEE****LOADED**** Check out this fantastic 2014 Ford F-150 FX4 with only 75K miles! Loaded up with Power Sunroof, Navigation, Heated Steering Wheel, Heated & Cooled Seats, Sync, Bluetooth, Remote Start, Dual Climate Control, 4-Wheel Drive, Brake Controller, Adjustable Pedals, Hill Descent Control, Steering Wheel Mounted Controls, Memory Seat, Power Seats, AC 110V 150W Plug, Running Boards, Tow Package, Leer Cap, Bed Rug, Automatic Headlights, Bak Up Cam, 20" Black Wheels with BF Goodrich All Terrain T/A K02 Tires, and More! Powered by a precision tuned 3.5L, V6 Ecoboost Engine and driven by a smooth shifting automatic transmission. Call today to schedule your test drive.